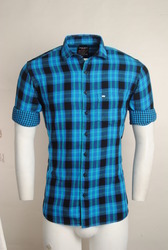 Our range of products include double colour striped casual shirt, ud design printed half white casual shirt, orange checked urban design casual shirts, blue linen checked men casual shirt, yellow urban design casual shirts and ud double fabric roll over style casual shirts. A detailed casual piece in cotton by urban design Menswear. Cut to a timeless regular fit, this long-sleeved shirt features a colourful all-over check and contrasts in herringbone weave. 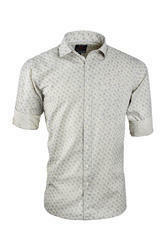 UD Design Printed Half White Casual Shirt is really different from others. 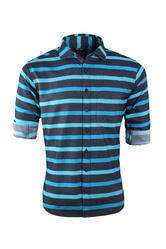 Wear it with jeans to get appreciated for having a smart sense of style. 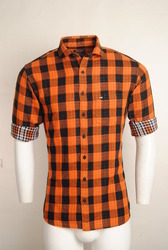 With the help of talented professionals and exceptional technology, we are offering our clients a variety of Orange Checked Urban Design Casual Shirts. 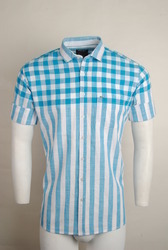 With the help of talented professionals and exceptional technology, we are offering our clients a variety of Blue Linen Checked Men Casual Shirt. 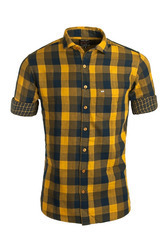 With the help of talented professionals and exceptional technology, we are offering our clients a variety of Yellow Urban Design Casual Shirts. With the help of talented professionals and exceptional technology, we are offering our clients a variety of UD Double Fabric Roll Over Style Casual Shirts. With the help of talented professionals and exceptional technology, we are offering our clients a variety of Urban Design Casual Roll Over Shirts. 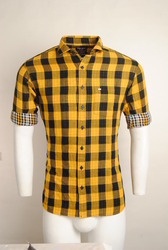 With the help of talented professionals and exceptional technology, we are offering our clients a variety of Urban Design Yellow Checked Casual Shirts. With the help of talented professionals and exceptional technology, we are offering our clients a variety of Urban Design Purple Double Fabric Casual Shirts. 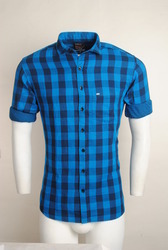 Casual shirt, has a Regular collar, perfect for the casual / semi-formal outing, a full button placket, long sleeves, a patch pocket, a curved hem. This shirt is a must-have in your wardrobe. We suggest you team it with a pair of jeans and boots for the right look. Urban Design Pink Lenin Shirts come in stylish cuts and provide for soft & light fabric feel against the body which makes these shirts a comfortable option to wear for all day long. 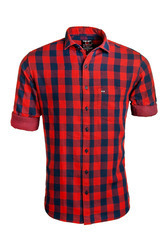 Made from quality Lenin fabric material, these men’s shirts are also easy to maintain and are available in different styles to choose from. Further, their availability in different colors and pattern options also make these perfectly match up with the specific demands of the customers. Some of its features include vibrant colors & prints which make these highly desired by customers, featuring striking finish, choice of exclusive prints and others. 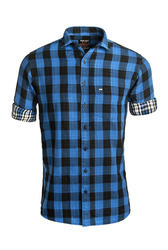 With the help of talented professionals and exceptional technology, we are offering our clients a variety of Blue Checked Men Casual Shirt. 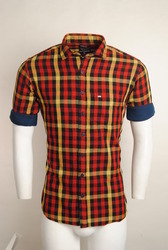 With the help of talented professionals and exceptional technology, we are offering our clients a variety of Red and Yellow Checked Men Casual Shirt. We deal in Urban design double fabric Shirts. 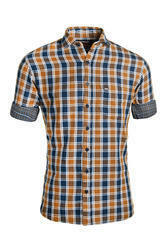 With the help of talented professionals and exceptional technology, we are offering our clients a variety of Multi Colour Men Casual Shirt. 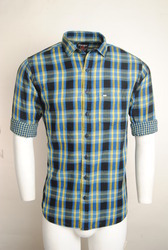 We offer a wide range of Blue Lining Urban Design casual shirts.